Considered to be social insects, you seldom see just one ant all by itself. Too bad that these social critters don’t understand that they don’t have an open invite to any home they want. 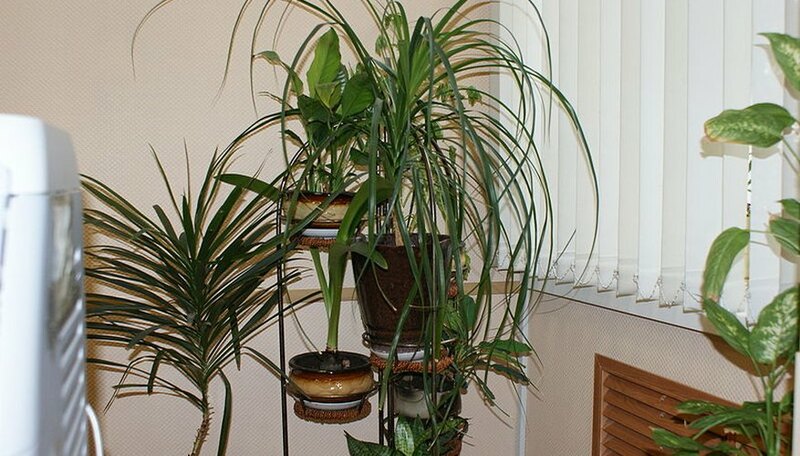 Ants in the house are bad enough, but when they invade house plants it creates a frustrating problem. Fortunately, several easy ways exist to get rid of ants, which can save you both time and money. Mix boric acid powder and condensed milk (use the sweetened variety for the best results) into a thick paste-like consistency. Roll the mixture into small balls and place them on top of the soil where the ants can easily get to them. This sweet toxic mixture will be carried back to their nest and eradicate the problem at the source. Be careful using this method around children and pets, as it is toxic. Remove standing water from plants and re-pot them immediately. Ants like to hang out with aphids, and aphids like standing water. Eliminate the excess water and the aphids go away, leaving the ants with no purpose to be there either. Add 1 tablespoon of dish soap, 1 tablespoon of vegetable oil, and 1/2 teaspoon of eucalyptus oil to a gallon of warm water and mix it up well. Pour the solution into a spray bottle and you have your own bug spray for a fraction of the cost of insecticides and usable around children and animals. Set the plant outside and place lemon rinds on top of the soil. The smell repels the ants and when they leave, it won’t be by way of your living room. Check on the plant and bring it in when the ants are gone. Repot the plant in fresh soil. This will evacuate the ants that have made the old soil their home. Discard the old soil and leave the ants outside. Keep the new soil moist enough without drowning your plant, so that the ants won’t want to return. Many commercial pest repellents have proven to be effective in eliminating ants, but aren't safe to use around pets and kids. Read and follow all manufacturers' instructions carefully. Wear gloves when making the boric acid and condensed milk paste into balls.